Hydro Eco Clean provides a low-pressure, damage-free roof cleaning service. With professional expertise dating back to 2013, we provide a comprehensive cleaning solution that can help even the most particular of exterior issues wash away and become a thing of the past! 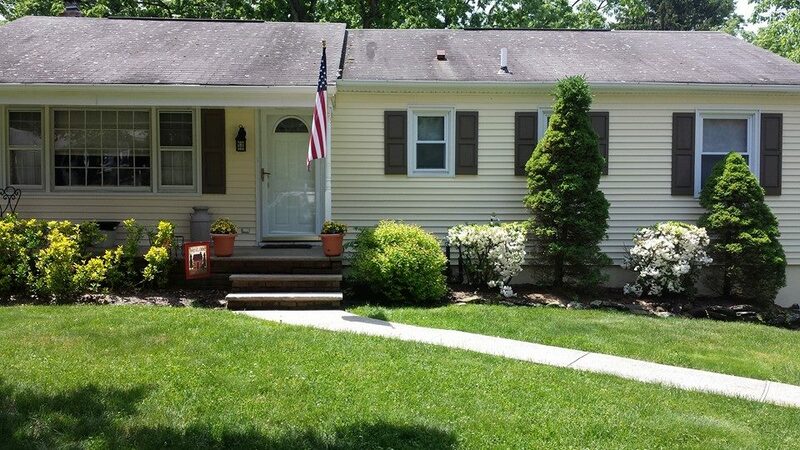 For anyone based in New Jersey, Hydro Eco Clean provides a professional exterior restoration service. With professional expertise dating back to 2013, we provide a comprehensive cleaning solution that can help even the most particular of exterior issues wash away and become a thing of the past! Algae Growing on Your Roof? We live in a highly-infected roof algae staining area. The limestone filler in your shingle is the primary cause. 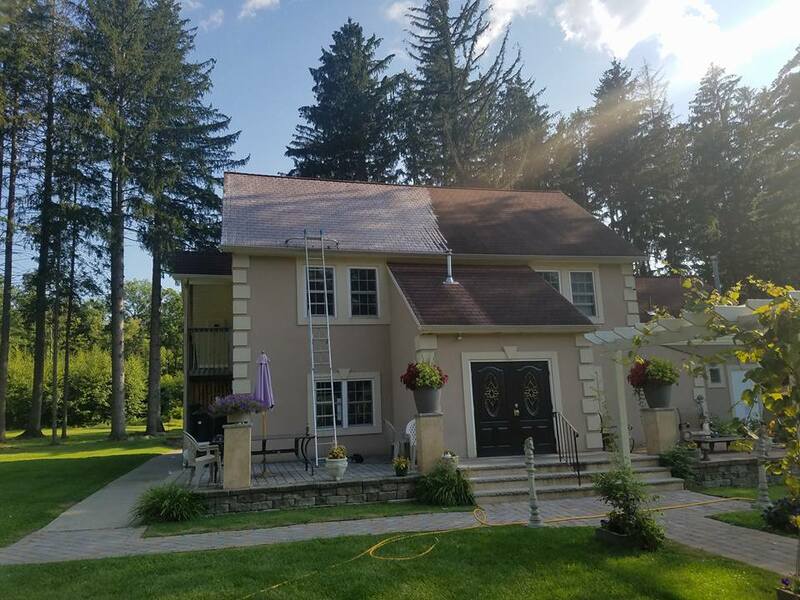 The Hydro Eco Clean has the proper solution, The ARMA (Asphalt Shingle Manufacturer Association) recommends a periodic cleaning process that is affordable and can remove those unsightly stains and restore your shingles original appearance. Often mistaken as mold or mildew , the black discoloration and streaks visible on many roofs across the United States and Canada are actually algae. The algae can form where moisture tends to dwell on roof surfaces. 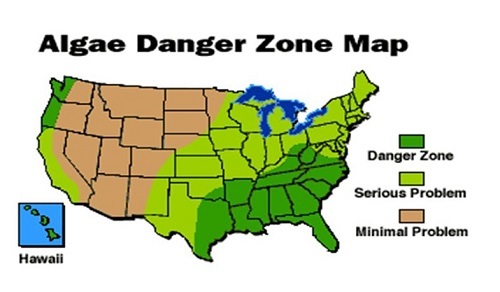 Coastal or humid climates create the most conducive conditions for algae growth. The most common type, gloeocapsa magma or blue green algae, protects itself from damaging ultraviolet rays by producing a dark pigmented sheath. The algae discoloration typically begins as small spots then quickly transforms into streaks on the roof plane. By the time the algae is visible, it likely has been present for several months or longer. Algae spores are carried by the wind or by animals and can quickly spread from one rooftop to another. That is why it is common to see algae growth on rooftops throughout an affected neighborhood. The same is true for apartment or condominium complexes, townhouses or row houses. On highly reflective or “cool” roofs, algae will undoubtedly have a negative impact on the long-term effectiveness of these roof systems. That is why it is important to address an algae problem as soon as possible. Ugly Black and Green on Your Roof Giving You “the Blues”? Call us to soft wash your shingles for a fraction of the price of less-experienced competitors and rid yourself of roof algae, moss, bird droppings and bacteria. Let your home or business shine again. Don’t spend $5k-$15k to replace your entire roof…Call HydroEcoClean! Our Clients LOVE Our Service! FANTASTIC JOB. Took a chance after receiving their flyer. Sal (the owner) was great….very responsive, professional and show up when promised. Could not be happier with the results, service and the price. Highly recommend using them. We will be using him annually going forward. 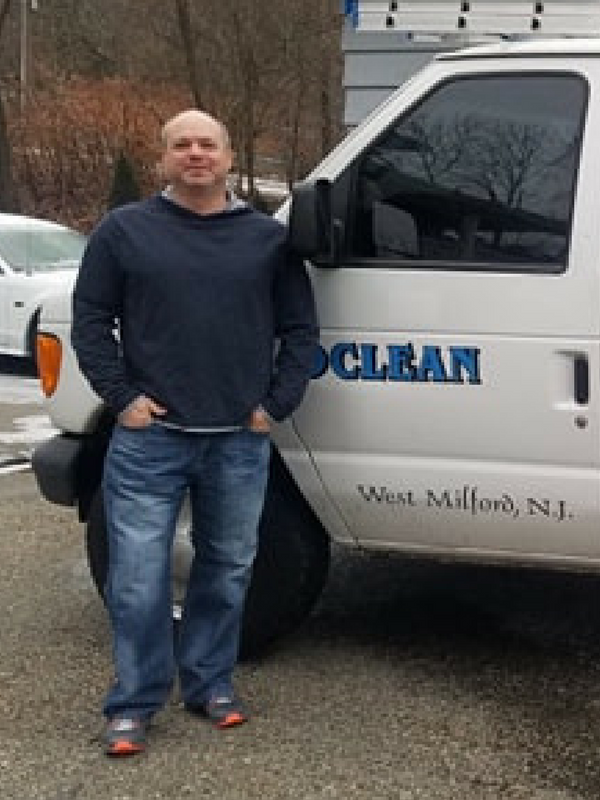 Does this sound like the kind of service that you think your New Jersey household or property needs? Then contact us today! We’ll be more than happy to take a closer look at the kind of roof cleaning service you need, and find the solutions to make your property look as good as new!